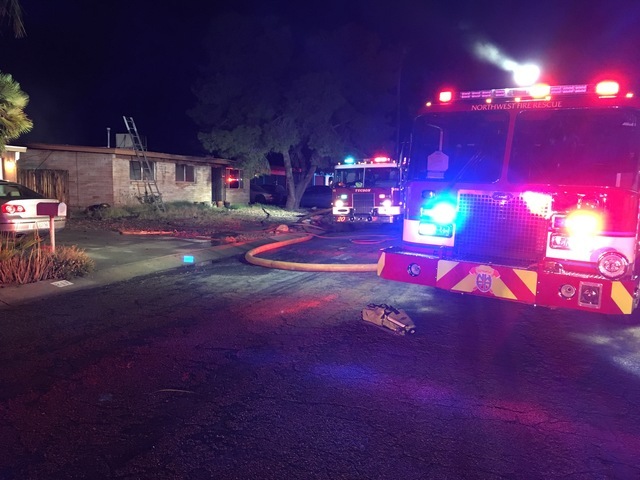 A northwest home is left with heavy damage, despite the homeowners trying to get control of a fire that broke out Sunday night. Northwest Fire says multiple 911 calls about smoke and flames came in just after 11 p.m. Sunday in the 200 block of East Radburn St.. Firefighters say heavy smoke filled the area as they were arriving on scene. Crews found flames in the house and backyard, along with downed power lines. Multiple agencies responded to get the flames under control. Two people and their dogs were home at the time of the fire. The two say they heard a noise in the laundry room when they found the fire. Both tried to put out the fire, but were forced to evacuate to safety. One person suffered smoke inhalation and was treated at the scene.